Welcome to south-west China, and one of the most amazing regions in the world, with an incredible range of landscapes and cultures. Whether this is your first visit to China or you have travelled before to the main destinations in China, we welcome you to discover with us the wonders of south-west China’s places and peoples. 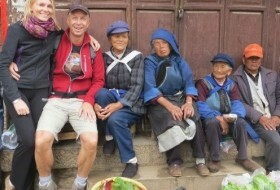 Lijiang Guides is a professional operation creating personalized, tailor-made journeys of distinction and unforgettable experiences for small groups across south-west China (including Tibet). and strive to ensure complete satisfaction. We are a small operation, but we don’t just provide guiding services, we can custom-make your trip with flights, accommodation and transport for the complete package at a very reasonable price to suit your budget. 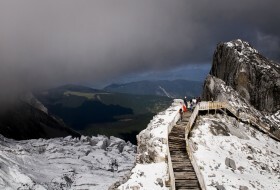 Using a mix of foreign experts and adventure specialists and the best local, English-speaking guides, Lijiang Guides offers you unique, off-the-beaten-track adventures taking you to the REAL China. 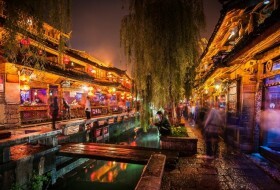 Go hereto learn more about Lijiang Guides and what makes us different, including our sustainable tourism pledge. Click hereto find out about the places where we can take you, and on how we operate. Click hereto read testimonials about us and references of recent guests. Contact us nowto find out more, or for a copy of our brochure. 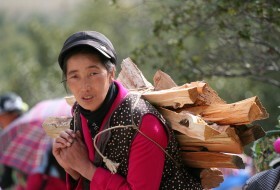 Lijiang Guides helps peel back the commercial veneer to give you an insight into the real China both past and present. Awesome team put together a great trip for us! With Keith and his team -including Jing in Shangrila -we had a wonderful time. Excellent value really made our trip. Best way to experience China!